Leak-stop additives for coolant and oils have been around for a long time, with their reputations always at stake. For many years they were home remedies that carried the stigma of an Old West medicine show touting the benefits of a mystery cure, but thanks to modern day technology, these products are constantly advancing and scientific testing is proving their effectiveness. Always a subject of debate among technicians and knowing the speed at which technology changes, I contacted some industry experts to get some additional information on these “tools” that come in a bottle. Some of the more commonly known products are leak prevention additives for the cooling system. Widely known as “stop-leak,” they are also marketed as coolant leak sealers or head gasket repair. To establish a standard for cooling system additives, ASTM D3147 was developed to define testing criteria, specifying that a product should seal holes up to .025 in. (.635mm) and that it will not block holes larger than .85mm. “This is to ensure that the product will seal holes and cracks where required but will flow safely through even the narrowest waterways within the engine cooling system,” said Mike Schlup, international sales director for Solv-Tec. Copper powder, aluminum powder and ceramic microfibers are some of the basic ingredients used in coolant leak-stop. Exact formulations differ between companies and it’s these ingredients combined with proprietary compounds that make up their secret sauce. When there is a leak in the system, the sealing media is deposited in the area by the coolant as it passes by. The media does not react with the coolant, it remains chemically dormant until it is exposed to an external atmosphere. Then and only then will it harden or solidify, creating an effective repair. Should these products be used for preventative maintenance prior to any noticeable symptom or leak? Leak-stop additives are also common for oil-based fluids such as engine oil, transmission fluid and power steering fluid. The technology behind them is centered on conditioning and restoring seals. When seals get old, they tend to dry out and shrink. Seal conditioners are formulated to react with an old seal to make it soft and pliable again. A vital point to consider for oil-based fluid additives is to make sure that they are compatible with the fluid in the system. Some of the more technical fluids (such as transmission fluid) have additives that are critical to the proper operation of the system. 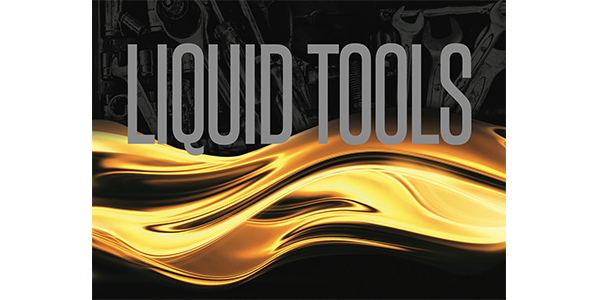 An additive that alters the original properties of a lubricant or hydraulic fluid can do more damage than good. Prevailing over just a technical explanation of how they work, one of the most important factors is that the goal of leak-stop companies is not to take work away from professional technicians, but rather to help us understand their products so that we can use them to our benefit and to that of our customers. As technicians, it’s our job ethically to let someone know when their car is not worth fixing, but we also know that a hard fix — performing a true mechanical repair — is the best way to approach any problem. Let’s say a customer has a vehicle with a weak head gasket but they cannot afford to purchase a new vehicle right away. What if we were able to utilize a liquid cooling system head gasket repair that keeps the vehicle on the road for a number of months, maybe even a year or longer, allowing the customer time to plan and save for a replacement? We would not only gain a customer for life, but the fact that we were willing to act in their best interest is feedback that they will certainly pass on to friends and family. Many companies guarantee that their products will solve the problem or they will refund the cost of it. If a customer has a minor oil leak coming from what appears to be the rear main seal, you notice that the leak isn’t terrible, but may certainly get worse over time and will be an expensive repair. You offer your customer the opportunity to add a seal conditioner that may solve the problem and if it doesn’t, they will get their money back on the product. If it fixes the problem, even for a little while, you win the customer over and it confirms your diagnosis. If it doesn’t fix the problem, you still win them over because it shows you will do what is in their best interest.